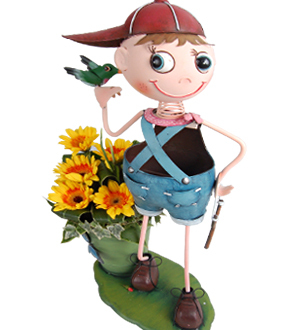 Adorn the home of your unexpected sweetheart or friend with playful Carmelo, the garden metal sculpture boy. Standing at a staggering 65cm in height, Carmelo can withstands all warm and wet Malaysian tropical weather. Comes presented in a bevy of daisies to set the mood for any celebration.